Fall is one of the most demanding times for the roof. Leaves get everywhere, the gutters get clogged, and even the weather itself can do a number on the structure as the temperatures switch from warm to cold. 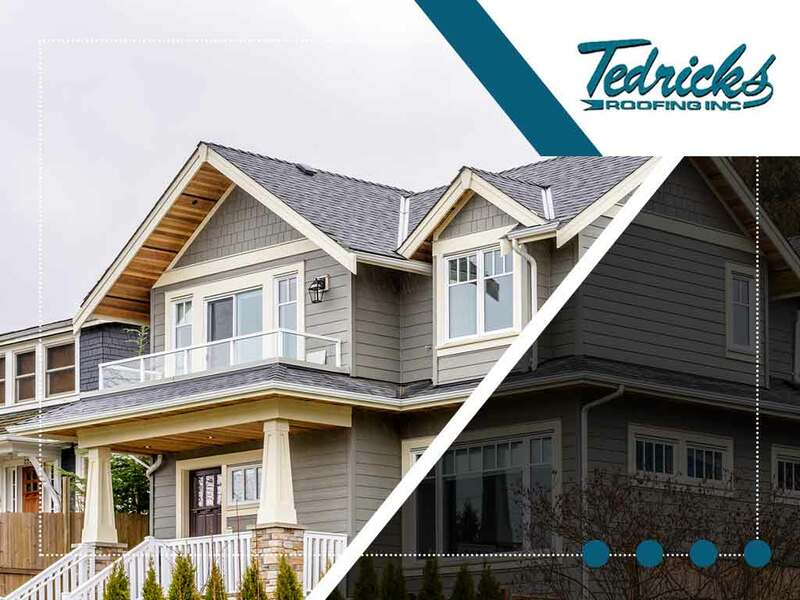 Tedrick’s Roofing, Inc., your local roofer, lists four of the most common fall roof repairs you need to prioritize during this demanding season. Leaves that fall and settle on the surface of the roof will attract and absorb moisture as they rot. This in turn will spread throughout the surface and cause structural damage that builds up slowly, but that will eventually spread throughout the entire roof. Thankfully, you can prevent this from happening by doing regular roof cleaning. A few leaves on the roof are harmless, but once it starts piling on top, you’ll want to clean the surface as soon as possible. Strong winds during the fall are more likely to carry wind-borne debris like twigs and branches. These eventually end up on the surface of the roof, where they can scratch and dent it. In some cases, exceptionally strong winds can even tear off the protecting roofing granules or coating of the roof. This requires immediate roof repair as failure to address these scratches, holes and dents can lead to the development of leaks. Gutters that are clogged don’t just spill their accumulated rainwater everywhere. The extra weight in the gutters can pull down on the edge of the roof, loosening shingles and even causing structural damage. This is something you can prevent by simply cleaning the gutters. Stains and dark patches are caused by algae and fungus, such as mold. They can develop quite fast during this season.